A popular day-trip from Tokyo is Hakone, a small town about two hours from Tokyo. While it's famous for its beautiful views of Mount Fuji (when it's not shrouded in cloud) and geothermal activity - including a region unsafe for asthmatics due to the sulphur content of the air - Hakone's novel attraction is the possibility of riding five modes of transport: a (somewhat tacky) pirate ship across a beautiful lake, a gondola, a cable car, a switchback train and an ordinary train. Hakone is famous for its views of Mount Fuji. Aside from the different forms of transport, passengers can get off the gondola half way down (or up) and walk through a geothermal area high in sulpherous gases. Unfortunately the main attraction is considered to be black eggs cooked in the sulpherous water. Owakudani (Great Boiling Valley) is not for the asthmatic. There is plenty of information around about Hakone, however on my first visit my only meal of the day included a small bowl of fried rice with soy sauce and a few frozen vegetables, and even then only thanks to a kind-hearted foreigner who translated my strange needs to the bewildered staff of a tiny restaurant. However, second time around, my parents and I found this charming sushi jaunt run by a very helpful couple who understood quickly what we ate and didn't. Hakone's only vegan meal can be found here, just before the Open Air Museum. There are four types of vegan sushi available: cucumber and two root vegetables, and inari sushi (deep fried tofu pockets). The first three come in a set. These trays are great value at between 500 and 800 Yen each. The sushi bar is located just outside Chukoku-no-mori station on the Hakone Tozan line (the switchback train). It's just outside the station on the way to the Open Air Museum. It's open from 9AM to 8PM, and is closed on Thursdays. Beware that the Open Air Museum closes at 5PM with the last admissions at 4:30, so if you've done the circuit starting with the pirate ship and intend to visit the museum, it might be best to visit the museum first, and have dinner here before making your way back to Tokyo. Alternatively, if you go around anti-clockwise, it might make a good lunch spot. Generally which way around one goes is worked out by when the odds are best from seeing Mt Fuji, and whether one wants to see it from the lake or the mountains (while on the gondola and at the geothermal area). After a long day exploring Hakone, this fresh, delicious sushi is just what is needed. These dishes are all common sushi dishes which can be found all over Japan, particularly at kaiten sushi (conveyor belt) restaurants and often even at grocery stores and even convenience stores. While visiting Japan one should try eating these, though they may sometimes be all you can find, especially in more remote areas, however what makes these worth blogging about is that they are, as far as I can tell, the only vegan food in Hakone. 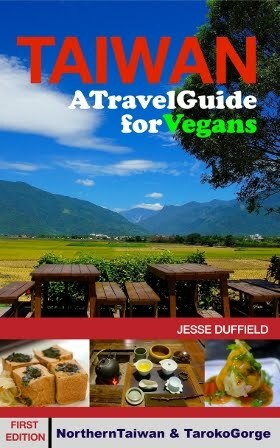 Being regarded as a top tourist attraction from Tokyo, and a fun day out (or overnighter), it seems worth mentioning on this blog where vegan food can be found, however beware that Hakone can get very crowded, especially during the weekend, and can feel very 'packaged', particularly on the transport circuit. So Hakone may not be for everyone. If you do go I recommend spending at least a couple of days there, preferably not on a weekend (or popular holiday period) and spending one day off the tourist route exploring the area on foot. I enjoyed walking the Old Hakone Highway. individual, but there's nothing wrong putting the pressure on. See the link below for more info.